When you're looking for a reliable midsize sedan to get you around town, the Hyundai Sonata is just the thing. Hyundai knows how to make a great car, and the Hyundai Sonata is one of the finest on the market. Capable and versatile, the Hyundai Sonata is a great choice for every kind of driver in and around the Merrillville and Highland, IN areas. There are three available engines on the Hyundai Sonata. The standard 2.4-liter four-cylinder engine gives out 185 horsepower and 178 pound-feet of torque. 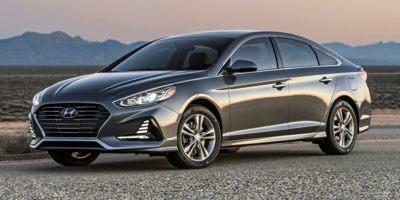 The available turbocharged 1.6-liter engine gets 178 horsepower and 195 pound-feet of torque, and the Hyundai Sonata tops out with an available turbocharged 2.0-liter engine producing 245 horsepower and 260 pound-feet of torque. With a long history of stellar safety scores, the Hyundai Sonata will keep you well-protected on the roads from Hammond all the way to Crown Point, IN. Of course, the best way to stay safe is by avoiding accidents entirely, which is why the Hyundai Sonata offers a host of standard and available safety technologies. Standard safety features include blind-spot monitoring with rear cross-traffic alert and a rearview camera. Hyundai also offers adaptive cruise control, lane keeping assist, automatic emergency braking with pedestrian detection and more, you're in good hands with Hyundai. The Hyundai Sonata comes with an impressive standard infotainment system. The 7-inch touchscreen offers enhanced smartphone connectivity via Android Auto and Apple CarPlay, and Bluetooth connectivity lets you connect you favorite compatible devices to the six-speaker sound system, as do the USB port and auxiliary jack. The Hyundai Sonata is comfortable, capable, and safe. If you're in the nearby areas, including Gary IN or Lansing IL, why not take one for a test drive? Just give us a call at (219) 513-9480 and we'll help you set one up, or come visit us at either of our two locations: Webb Hyundai Highland or Webb Hyundai Merrillville. We can't wait to meet you.